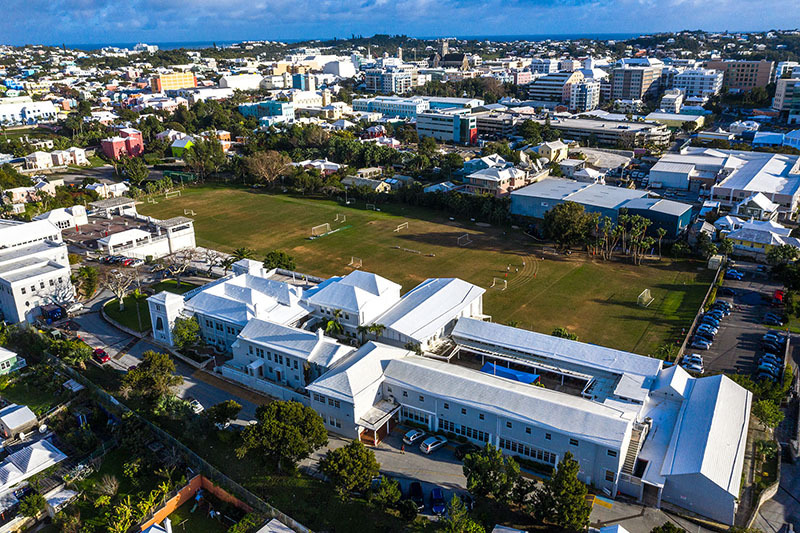 With a generous commitment from the Green Family, Saltus announced a new tier of financial assistance this morning, allocating funds to students wishing to enter the Primary School [Foundation Year – Year 6]. “This is a tremendous opportunity for Saltus,” said Director of Enrolment Management Amanda Skinner. The objective of the Green Family Primary Assistance is to provide funding to qualified and deserving Bermudian students, with demonstrated financial need. Awards will be granted annually, based on FAST [Financial Assistance for School Tuition] results, and the recipients must remain in good standing, both academically and behaviourally, with demonstrated participation in the life of the school. Head of School Deryn Lavell and Director of Advancement Denise McAdoo extended their heartfelt thanks on behalf of Saltus to the Green Family for their generous support of this initiative. For more information or to apply for admission to Saltus for Fall 2019, call Amanda Skinner at 296-6871 or visit here.